Fred was born on 2 August 1893, the ninth child of the thirteen children of John James ANDERSON, a Timaru wheelwright, and Julia (nee Bishop) and the second of four sons to enlist to serve in World War I. Before he set up his own wheelwright business John James worked for Trengroves, blacksmiths in Timaru. It is his claim to fame that he sometimes sparred with Bob Fitzsimmons the Cornish blacksmith who was also employed by Trengroves and who later became a world boxing champion. Like his brothers, Fred was educated at St. Andrew’s School Timaru. His first job on leaving school was as a telegraph message boy with the New Zealand Post and Telegraph Department at St. Andrew’s. In 1912 he was advanced to the Wellington Branch of the Money-Order and Savings Bank Branch. By the time war broke out Fred was already in the Territorial Service of the Post and Telegraph Corps. 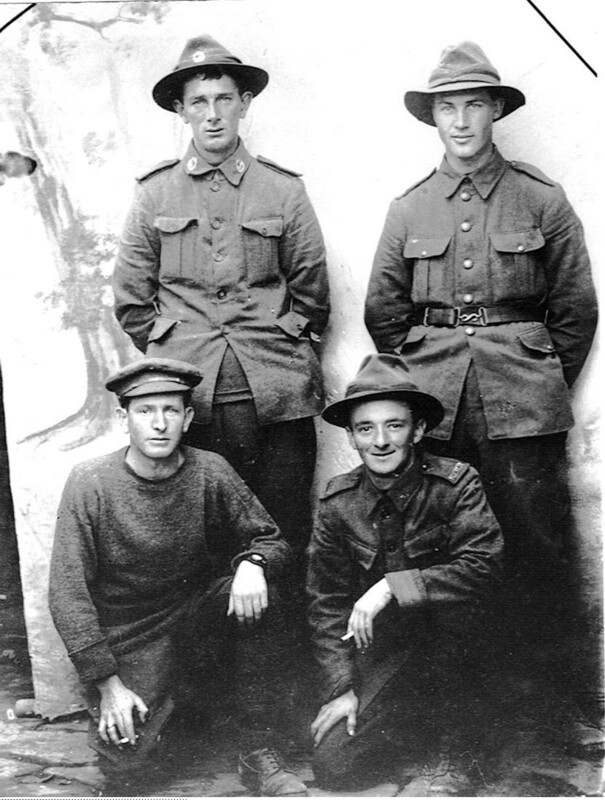 By 10 October Fred was in Anzac Cove – without horses – where he was transferred to the N.Z. Engineers and Signal Troop as a Sapper. He was at Gallipoli till Christmas day 1915 when he sailed to Egypt for a rest before going into battle there, this time with their horses. 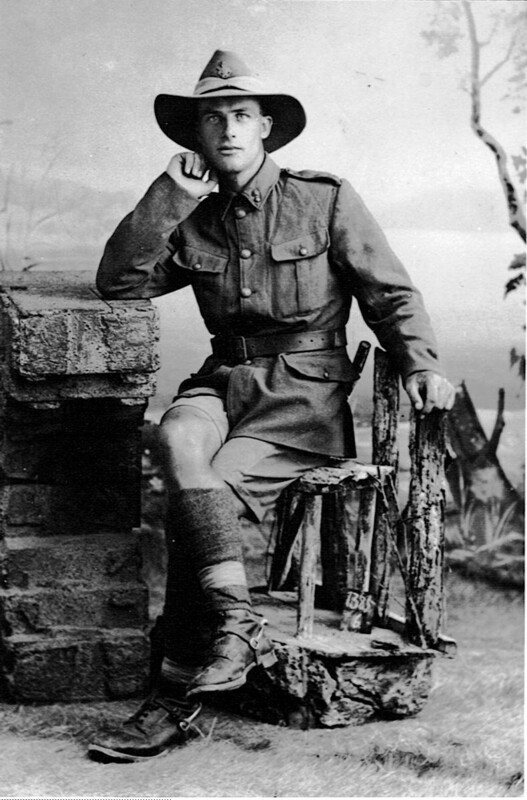 He spent ten days in hospital in February 1916, either from injury or illness sustained in Gallipoli. On discharge he was back with his unit again until August 1917 and continued fighting the Turks in the Middle East. 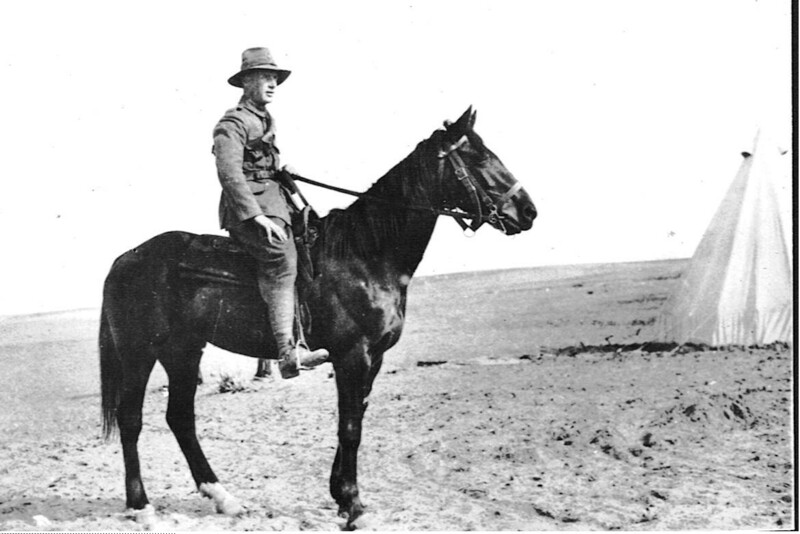 Conditions in the desert were atrocious: the heat, the flies, the monotony of tinned rations and the shortage of water all impacted on the health of the soldiers - plus they had the added burden of caring for their horses. Fighting took place in many historical Biblical places and one wonders if Fred was able to take in any of these sights or was he just too weary or too busy concentrating on playing his part in that awful war and staying alive. Fred spend the rest of the war fighting in Egypt and the Middle East, had two more admissions to hospital, the reason not recorded but possibly from any number of illnesses associated with the Middle East – foot problems, ear infections dysentery and malaria were common. He was made Lance Corporal after five weeks in a School of Instruction in June 1918 and was posted to Signal Troopers in October. With the Armistice in November 1918 Fred must have been thanking his lucky stars that he’d actually survived the war. By this time he was made Corporal and he remained with the Army until September 1919. During this time he spent much of this time monitoring Turkish compliance with the terms of the Armistice, including returning to Gallipoli to mark the graves of New Zealanders and re-burying the bones of those who remained above ground. Finally he left Port Said for a few days in England where he embarked on the “Remuera” bound for home. On return from overseas, Fred went back to his job with the P. and T. Department in Wellington where he joined the Accounts Branch. He continued to study and pass accountancy exams and was later appointed Examiner. He was transferred to Masterton for a short time where he met Olave Pryor whose fiancé, 2 Lieutenant Owen Jarrett, had died of wounds in France on the 8th October 1918. 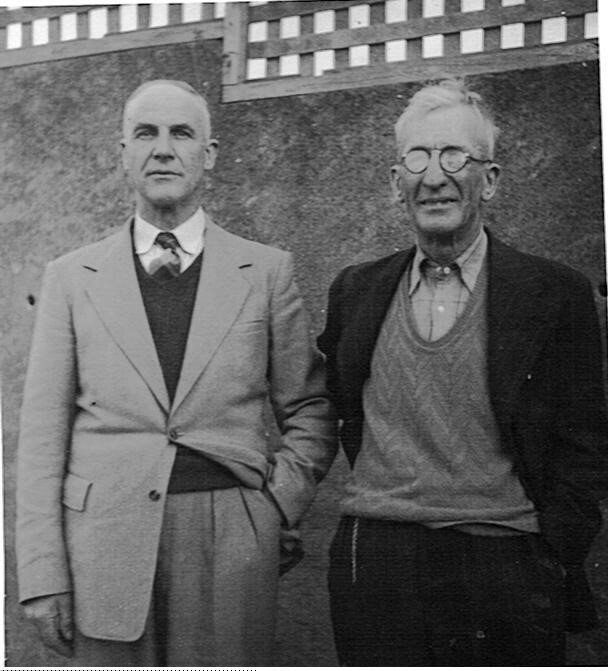 After their marriage on 4 June 1928 in Masterton, Fred and Olave returned to Wellington and bought a house in Karori for £400. They raised a family of four children in the hard years of the depression, during which time Fred went from half pay to quarter pay. Lorna was born on 24 April 1929, followed by Grahame Douglas on 17 July 1933, and then twins Annette Jean and Ian Bishop on 8 June 1934. The family later moved to a house by the sea at Balaena Bay. Fred was a good father who rarely raised his voice to discipline his children and he was unusual being of that era in that he helped with the housework, washing dishes and helping with the laundry tasks every Saturday. He officially retired as Accountant at the Stores Branch in Aotea Quay when he was 58, but returned to work in the Accounts Branch of the Herd Street Post Office for another ten years. Overall he had been employed by them for more than 52 years. Fred and Olave enjoyed their 12 years of retirement together at Paraparaumu Beach where Fred enjoyed playing bowls and growing splendid vegetables. Fred died in Wellington on 7 September1972.